Verifying accreditation for a college can be confusing for potential students. It is important to seek clarification regarding any concerns you have and not to rely on hearsay. Getting the correct information will help you make informed decisions about your education. Midwest Institute is Nationally accredited by the Accrediting Bureau of Health Education Schools (ABHES). Midwest Institute has maintained continuous accreditation since 1978. Midwest Institute is approved for institutional accreditation for all programs offered. ABHES also accredits institutionally outside of the allied health area. ABHES has approved the Midwest Institute HVAC program through the associate level. 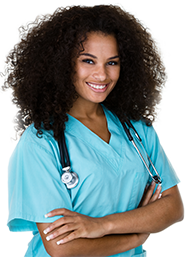 ABHES is recognized by the U.S. Department of Education, American Association of Medical Assistants (AAMA), American Medical Technologists (AMT), Accreditation Commission for Education in Nursing (ACEN), The National Board of Surgical Technology and Surgical Assisting (NBSTSA), and theTexas Higher Education Coordinating Board (THECB). Accreditation is a voluntary, non-governmental process. Accreditation provides assurance that programs offered deliver a valid education officially recognized by the U.S. Department of Education. Colleges must pass continual review of their programs and processes in order to maintain accreditation status. Accreditation enhances the quality of education and training and promotes institutional and programmatic accountability in the institutions and programs it accredits. It ensures that eligibility criteria and evaluation standards are relevant, valid, and reliable and predictive of successful qualitative outcomes through a comprehensive program of systematic review, enhancement, and follow-up. Accreditation enhances employment outcomes through quality improvement of institutions and programs. Accreditation qualifies a college to provide Title IV financial aid to eligible students. Accrediting agencies are private educational associations. Each accrediting agency has its own set of standards that the college must meet in order to earn their accreditation. The agency assesses, monitors, and evaluates the standards and quality of the education being provided to the students. Accreditation status indicates that a college and its programs meet the standards of quality set by the accreditation agency in the following areas: administration, faculty, curriculum, financial education, and student services. What is the difference between a recognized accrediting agency and one that is not? Recognition comes from the U.S. Department of Education and is considered to be the best gauge for determining if a school merits consideration for a valid education. Unrecognized accrediting agencies have not had their standards reviewed by the U.S. Department of Education. Students will find hundreds of schools with accreditation that is not officially recognized, and this is an important distinction to understand. Colleges choose to be accredited for many reasons. The most beneficial reason is the validation that their school is a legitimate institution of higher education that meets an acceptable level of quality. Students should remember that a college’s accreditation does not automatically guarantee a student’s academic success. It is up to the individual student to make the most of the education he or she receives. As you make your decision about where to continue your education, be sure to become educated in all aspects of the educational process and the value of what the college offers. Accreditation by a recognized agency can be the first indicator that you are on the right path. Midwest Institute has been placing graduates in their chosen careers for over 50 years and is invested in the quality of education delivered. This is proven by our dedication to continuous accreditation. Midwest Institute will continue to work with ABHES to provide the best education and student experience possible.